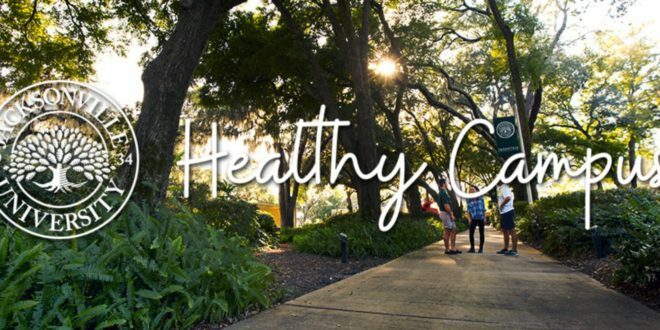 Jacksonville University has become the first private higher education institution in Florida to commit to the goals of the American College Health Association’s “Healthy Campus Pledge” and is now part of an exclusive network of official Healthy Campus 2020 Partners. The pledge involves a rigorous, detailed look at a university’s practices related to health, fitness, nutrition and much more, and is designed to show a college’s commitment to work every day to move its campus toward better health. 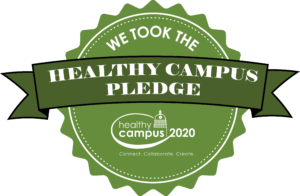 Healthy Campus 2020 is the companion to Healthy People 2020, the U.S. government’s health promotion and disease prevention initiative for achieving better health across the United States. The program provides a framework for campuses nationwide to improve their overall health status. Strategies extend beyond traditional interventions of education, diagnosis, treatment and clinical health care by embedding health into all aspects of campus culture, across the administration, operations and academics. 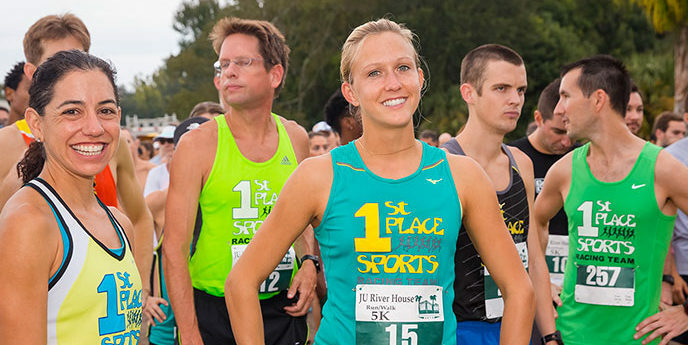 “JU is establishing itself as an institution that fosters the health and well-being of its community by making significant changes toward the improvement of health and quality of life for those who live, work and learn on our campus,” said Dr. Carena Winters, Associate Professor of Kinesiology and chair of the national Exercis e is Medicine on Campus program, of which JU recently achieved coveted Silver Level status. 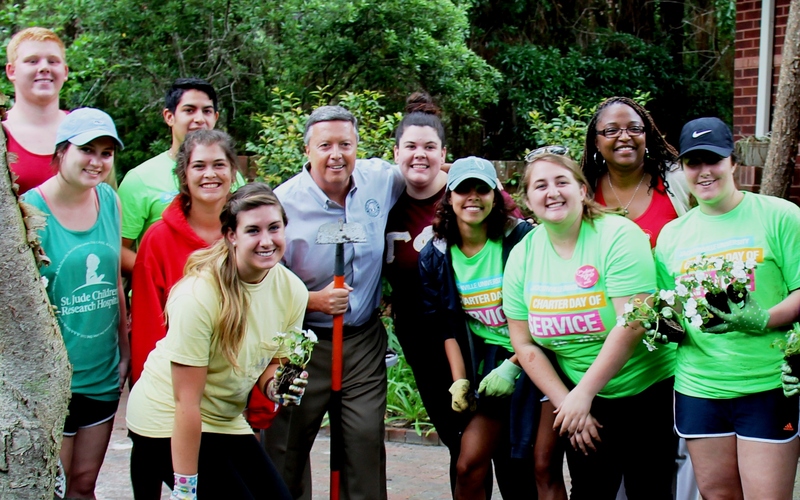 The University is furthering its commitment to a healthier JU community by working toward the Healthy Campus 2020 goals and objectives, Winters added. Becoming a partner instantly creates more visibility of JU’s healthy living practices to other institutions, provides access to additional ACHA tools to assess the health of JU students, and opens up networking opportunities with other health-minded institutions for best practices. Already at the University, in addition to its EIM-OC Silver Level designation, the campus has instituted its own Healthy Campus initiative, which has overseen initiatives such as placing hydration stations across campus; becoming smoke-free; updating the main café; adding healthier meal options; becoming an official Arbor Day Foundation Tree Campus USA; adding Level 1 Electric Vehicle Charging Stations; installing a state-of-the-art “Bod Pod” in the School of Applied Health Sciences to assess body composition of students, faculty, staff and eventually community members; adding the free J-Bike bicycle sharing program; starting the J-Walkers walking club; instituting the JU Mobile Safety App with safety features and resources for added student security; and adopting the Green Dot bystander intervention program to help in interventions of sexual violence and other abusive situations. In addition, awareness campaigns are in place to promote stress reduction, physical activity and fitness, and mental health and well-being. For more about JU’s Healthy Campus program, visit https://www.ju.edu/healthycampus. 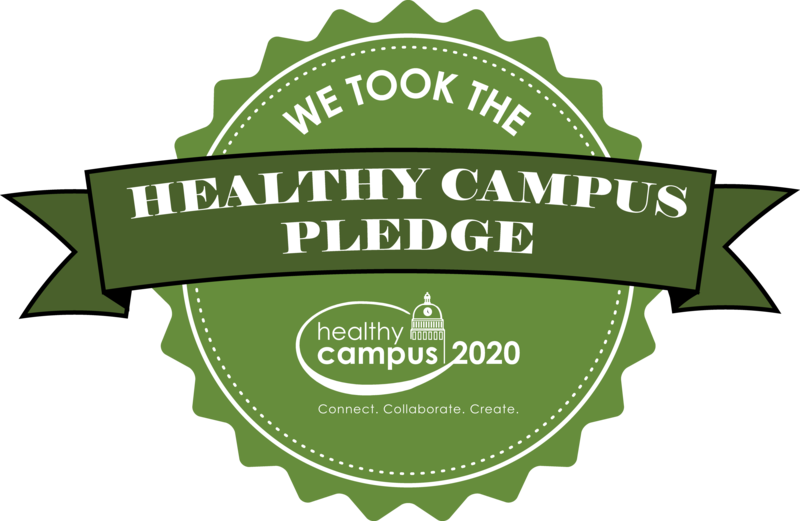 For more on Healthy Campus 2020, the pledge and goals, see http://www.acha.org/healthycampus.